In the first issue of Writing Magazine for the New Year, we look at what's hot for 2018 as publishing insiders share their predictions for the year ahead. 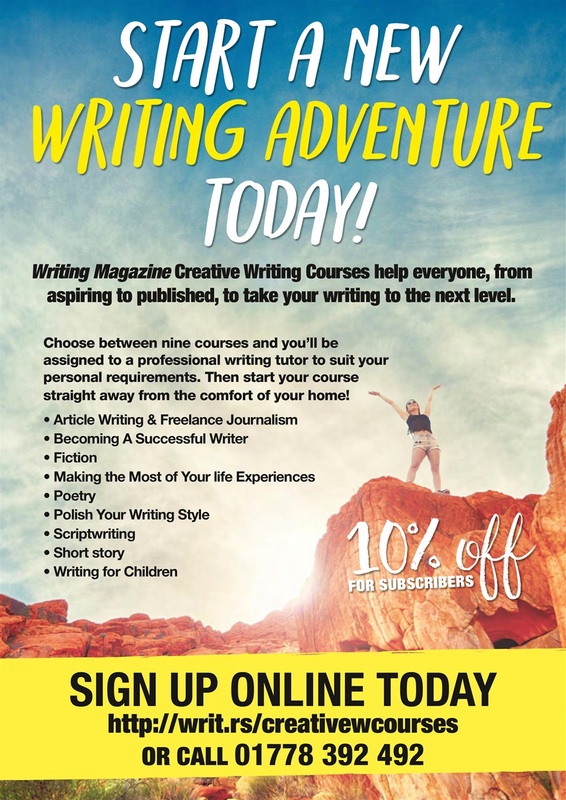 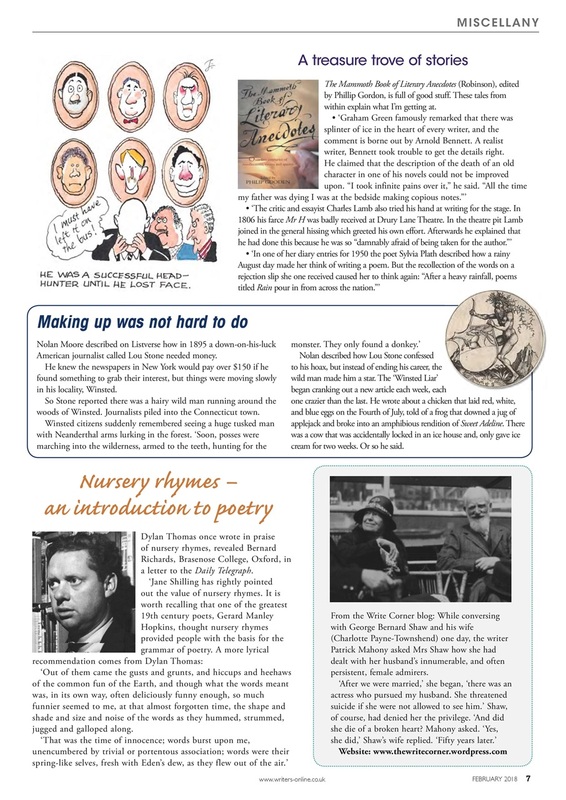 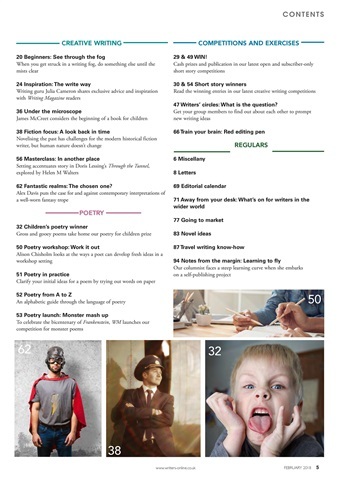 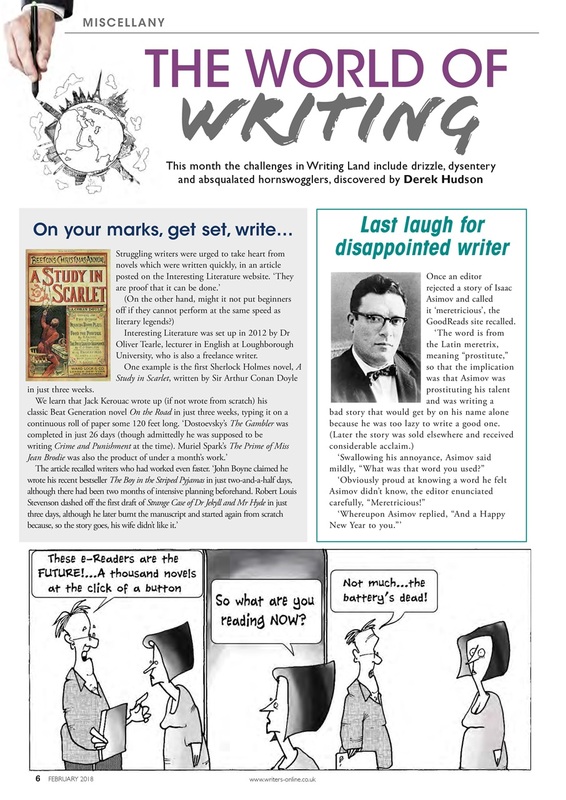 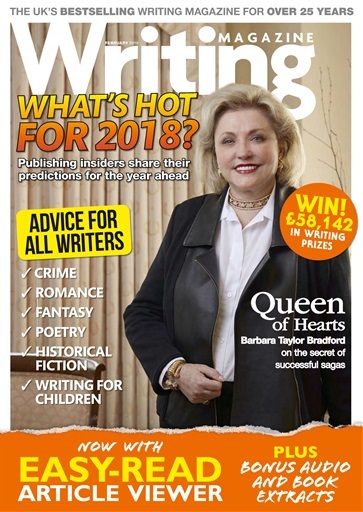 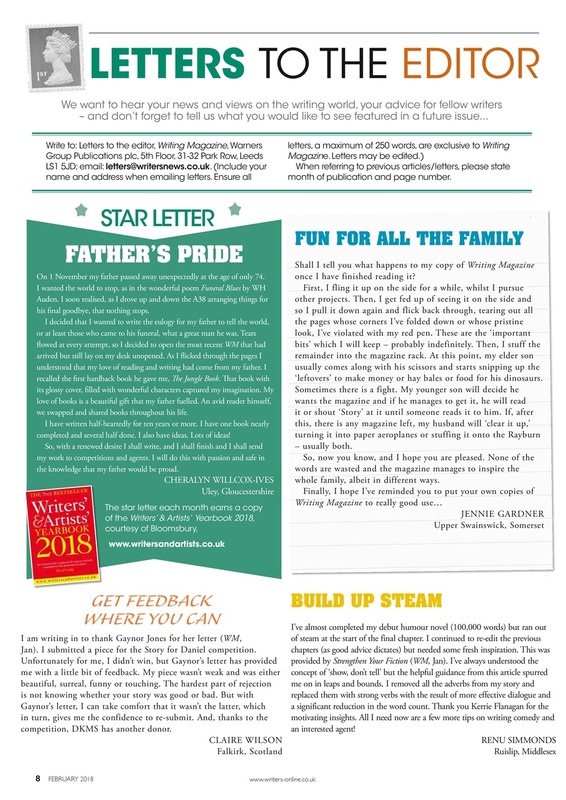 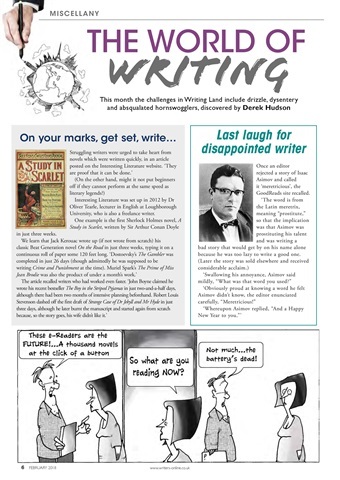 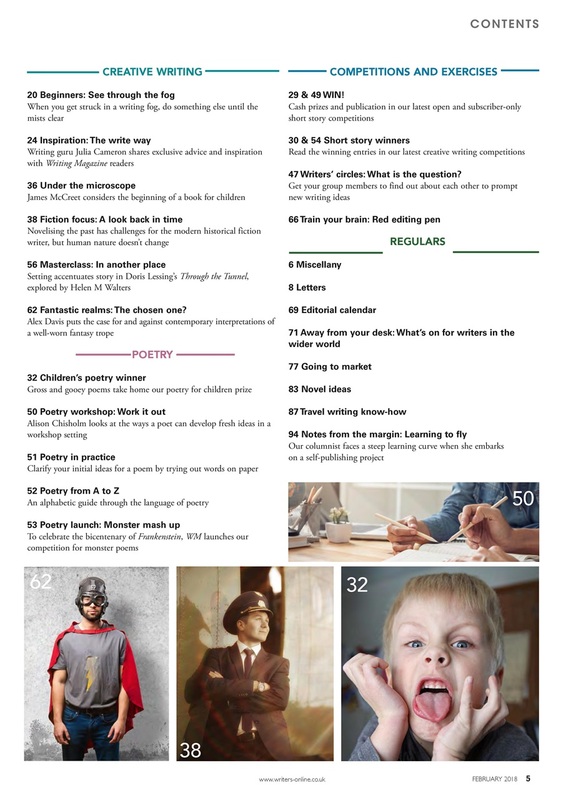 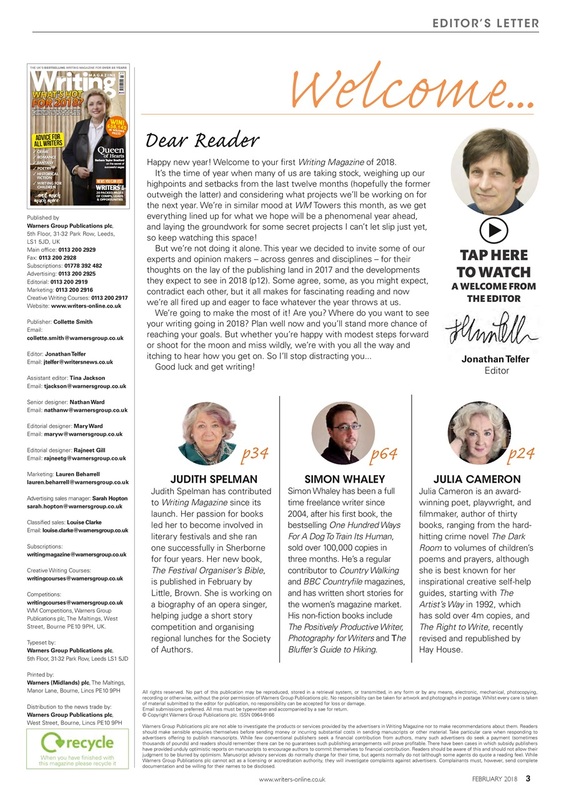 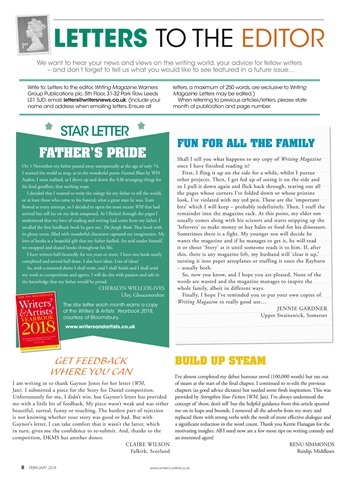 You can get your writing year off to a great new start with advice for all writers - whether you write crime, romance, fantasy, poetry, historical fiction or for children, we've got something in this issue to help and inspire you. 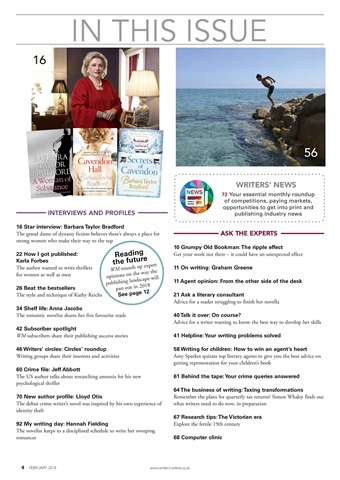 • Our star interview is the queen of dynasty sagas, the great Barbara Taylor Bradford. 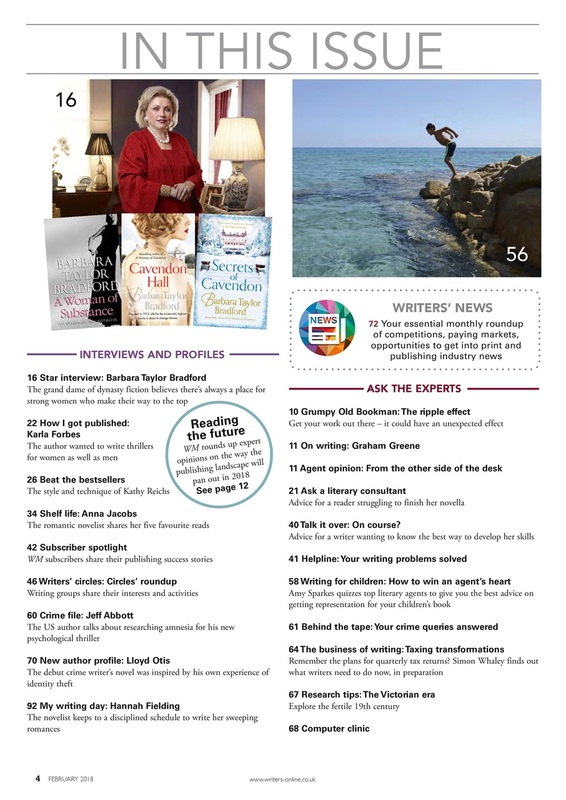 • Keep up to date with the latest opportunities to sell your work and see it in print, and win £58,142 in writing prizes.